Ample studies suggest that ‘Diversity & Inclusion’ is good for business. For a diverse nation like India, the workforce must be reflective of the society. Sexual orientation is a personal matter and not a Workplace issue. HR policies are foundations of any workplace and set the tone for building organizational culture & value systems. Rules and guidelines already range from a variety of topics that include dressing codes, travel, ethics to even dating policies. With the landmark judgement by the Honorable Supreme court of India, that decriminalizes section 377, there is a now, a profound need for leaders to set unambiguous rules, regulations and privileges reflecting ardent support for LGBTQ workers to avoid prejudice, harassment and legal ramifications. Business leaders and Human Resource Directors may consider 'Change management' and policy updates to bolster their Diversity & LGBT-Inclusion commitments. 1. Audit existing policies: Check for gender neutral language, such as “their” instead of “he” or “she” to encompass people of all orientations. Use of the words “regardless of gender” instead of “men and women” and validate interpretations. “Sexual orientation” must not be referred to as “Sexual preferences” / “Choice” or “Alternative lifestyle”. Modify and update existing policies to include employee sexual orientation and gender identity provisions in statements that cover Equal Opportunity Employer (EEO) statement, Ethics statement, Code of conduct and Anti-harassment policy. 2. Washroom access: Start with the basics and permit washroom access to ALL employees, including transgenders, that correspond to their gender identity. 3. Employee training: Practically, many of us still find this topic to be amusing, yet taboo and can’t really differentiate why people have such orientation. Ignorant, unthoughtful & unintended comments can sometimes create a lasting negative impact on victims. Participation in Gay jokes or banter must be discouraged in the workplace. 4. Internal communication: “Awareness” programs must cover education on the subject, definitions & abbreviations, company’s stance, legislative changes, obligations and risk mitigation as vital elements. L (Lesbian), G (Gay), B (Bisexual), T (Transgender / transsexual), Q (Queer / Questioning), I (Intersex), A (Ally / Asexual), Bisexual, Pansexual, Cisgender, GNC (Gender Non-confirming), Non-binary, Gender fluid, Gender neutral, MAAB (Male assigned at birth), FAAB (Female assigned at birth), UAAB (Unassigned at birth), Intersex. 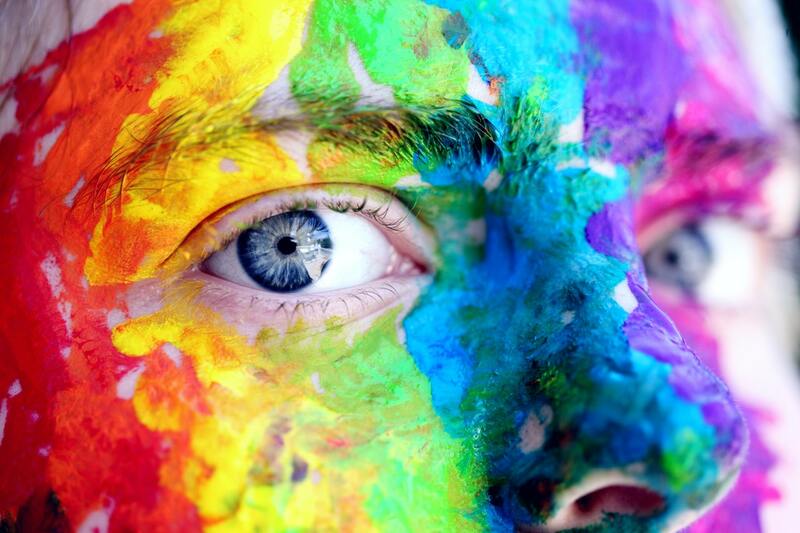 Sexual orientation & Gender Identity needs to be explained, acknowledged and comprehensively covered in diversity & inclusion, preventive harassment & discrimination workshops. 5. Identify Advocates: A core group of people with a mix of gender, seniority & influencing ability may be formed for a management approach model. Such people who are passionate to drive initiatives can be the impetus for change management and bring in early success. Ombudsmen & Sexual harassment committee members, need to first undergo orientation workshops to themselves learn the nitty-gritties to effectively address complaints. Much like the current sexual harassment reporting structures, employees must be made aware of the procedure and provided a conducive environment to fearlessly report related issues. 7. Zero-tolerance: Any cruelty, bullying or harassment in workplace for LGBTQ community must not be tolerated in any way. Potential punitive actions must be laid down for employees to know the sensitivity involved & legal repercussions. All workers must be treated with equality and never get a chance to make others feel inferior for their choices or interests. 8. Psychological and Legal counselling: Not just psychological, companies may even provide legal counselling and protection or even instantiate how to receive legal protection if the need arises. 9. Extended Outreach programs Programs involving immediate family members of LGBTQ workers can help remove any “Guilt” or stereotypical assumptions and inculcate respect for the individuals ‘gender identity’ even in their personal lives. Such initiatives could add a new paradigm to “Employee Engagement” and “Employer Branding”. “Sell your shares!” - said former Starbuck’s CEO Howard Shultz to an investor, after he complained about the support for LGB&T equality by the company.